Derby Races Start at 11 AM. Free Event for spectators, registrants and derby racers. 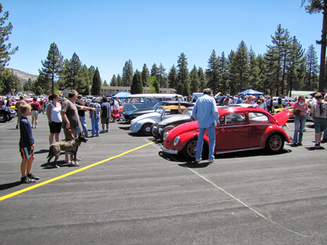 Once again, Big Bear Lake Antique Car Club will be hosting the BBLACC Show 'N Shine Car Show in concert with the Pinewood Derby Race. Free to all visitors and participants with Peoples Choice awards for their favorite Cars. 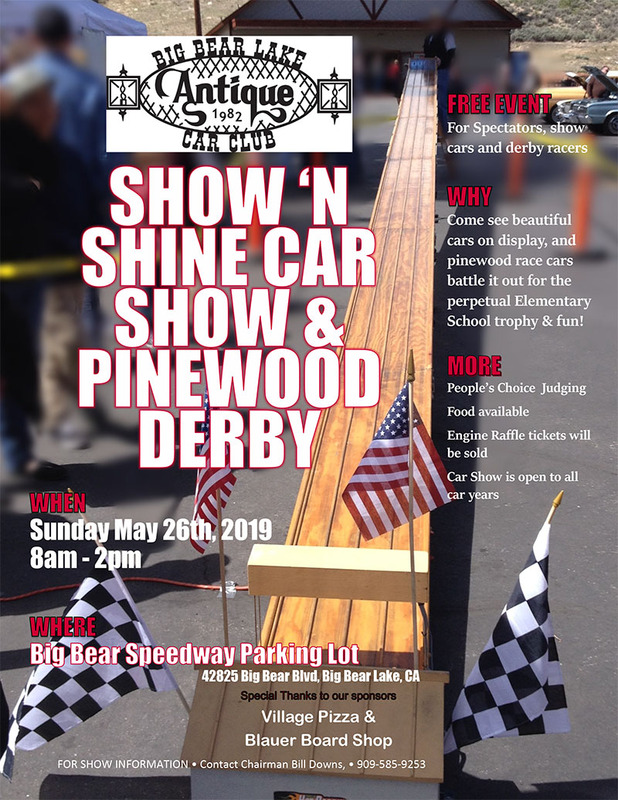 Come Show "N Shine and and cheer on our 5th graders with their custom made race cars provided by the Big Bear Lake Antique Car Club, as they race down the track! Shine up your cars and come enjoy a beautiful day in Big Bear and support your youth. Donuts, Coffee in the morning, Hot Dogs and drinks are available. All public is invited to enjoy a day of fun and excitement!